In a private meeting Monday night, shareholders of the Whitman Owner Corp. co-op at 75 Henry St. in Brooklyn Heights learned that a developer has upped its offer for a strip of shops along brick-lined Pineapple Walk. Anbau Enterprises, which develops and invests in luxury residential properties, raised its opening bid from roughly $75 million to a whopping $130 million for the 387,000-square-foot parcel, which runs from Henry Street to Cadman Plaza West. Anbau proposes to raze the current low-rise shops and build a 40-story luxury tower with ground-floor retail on the site. 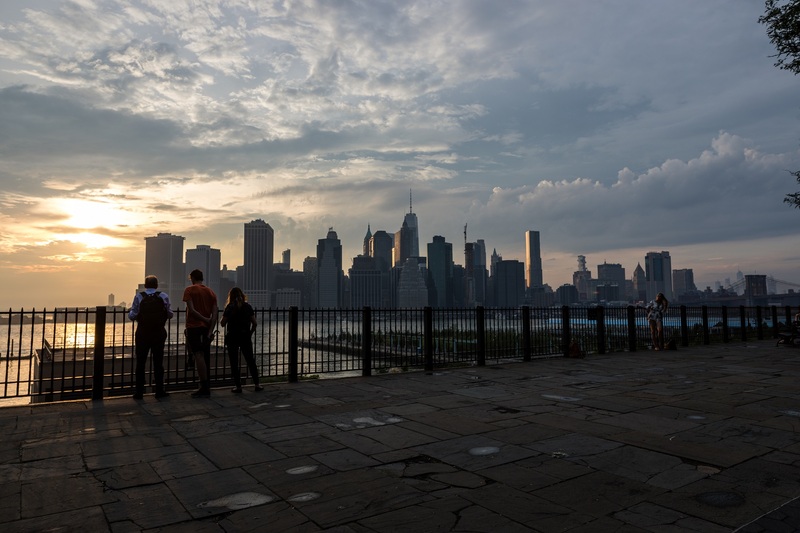 The bid’s substantial increase illustrates the sky-high valuations for buildable property in Brooklyn Heights, but represents a dilemma for Whitman shareholders, who are torn about what another luxury tower will do to the neighborhood and their own property values. If they approve the offer, Whitman shareholders who live in the co-op’s 32-story tower would receive an enticing cash payout: from $120,000 (studio owners) to $260,000 (three bedroom owners) apiece; Whitman townhouse owners would get even more. Whitman shareholders must vote before noon on Jan. 15 on whether the offer should be investigated further. Monday’s meeting was designed to provide as much information as possible to shareholders before the deadline – but the board warned residents that many questions could not be answered without making further investments in studies and expert advice. “Before we spend time and money, we sought your opinion,” said Whitman board president Doug Wexler. Should shareholders vote no, it would indicate to the board how it should respond to future offers, Wexler said. A yes vote would allow the board to seek offers from other developers as well, he added. Shareholders raised numerous questions which cannot be reported due to the private nature of the meeting. In most cases, however, the board said it could not yet be specific with details. The company’s portfolio includes buildings on the Upper East Side and on the West Side of Manhattan, and on Central Park South. Some Whitman shareholders have expressed concern about noise and dust during a tower’s years of construction. They are not likely to be reassured by Anbau’s track record at a site in Manhattan at 1717 First Avenue between East 88th and East 89th streets, where the developer is building a 34-story luxury tower. According to data from the city’s Department of Buildings, neighbors have complained that jackhammers started at 7 a.m. every morning, even on Saturdays; that work was being done without the proper permits; and the street was closed illegally, blocking pedestrians. Both the New York Times and DNAinfo have reported on these complaints. The idea of razing Pineapple Walk and replacing the low-rise shops with a soaring tower has riled Whitman’s neighbors. The proposed tower would go up less than 100 feet north of the neighboring Cadman Towers complex. While it would block the view for a quarter of Whitman’s tower residents, it would affect even more — half – of the residents of Cadman Tower’s 101 Clark St. section. But at that same meeting, one resident of 75 Henry spoke in favor of the plan. The Pineapple Walk site includes the popular Park Plaza Diner, a pet store, a beauty parlor, a toy store and 79 Green Apple Corp., commonly known as Peas n’ Pickles grocery store. Disclosure: This reporter lives in the Whitman Owner complex.